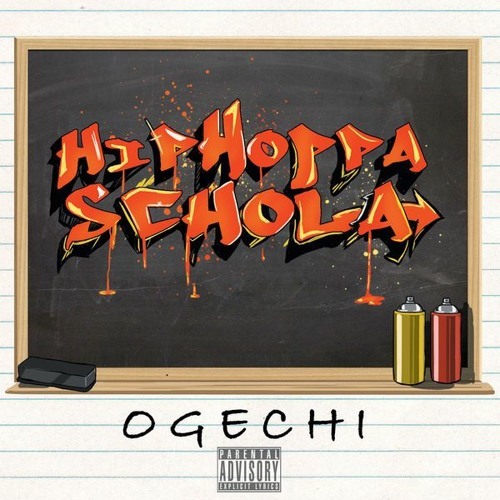 In Ogechi's second project "Hip Hoppa Schola" she embodies the culture as mother Hip Hop herself. The project starts with a powerful excerpt from The Teacher, KRS1, as he defines what Hip Hop is and who the Hip Hoppa is and get importance to the culture. Ogechi is the Hip Hoppa. She uses this first track as a time to reflect and appreciate the greats who cultivated the culture to what it is today, while still retaining her lyrical approach and cadence. One consistent thing about Ogechi's music throughout this EP, even though tracks varied in beat type and subject matter, is the animation she brings in her voice when delivering what it is she has to say. Whether she hits you with ethereal vocals on the chorus of Jeze Bella, or multisyllabic punches on Terradome, Ogechi is sure to present her truth as raw, real, and ready to be consumed as she can.